Those who served our nation in the military were honored at the Great Neck Veterans Day Parade on Nov. 11. Members of the Alert, Vigilant and Manhasset-Lakeville fire companies, local Veterans of Wars Post 372, American Legion Post 160, Boy Scouts, Girls Scouts and local elected officials stepped off from the Alert Fire Company firehouse and marched to the Village Green for a ceremony. 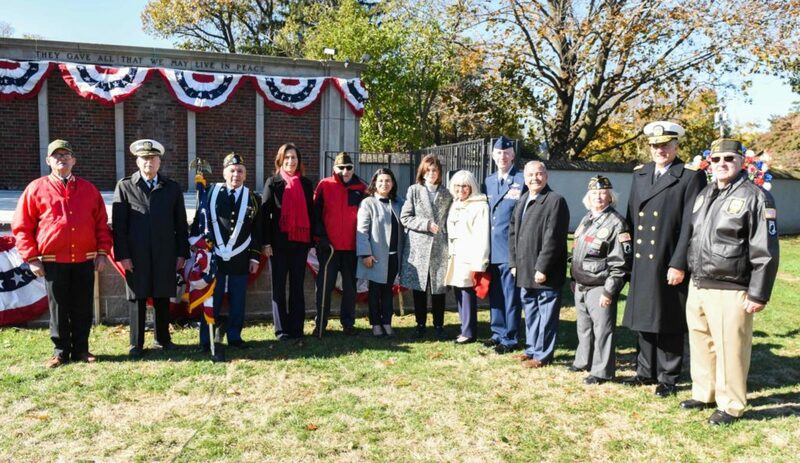 From left: Attendees included a Vietnam War Veteran; Fred Shaw, United States Navy; Ralph Vega; Nassau County Legislator Ellen Birnbaum; Al Muso, American Legion Post 160; Town of North Hempstead Councilwoman Anna Kaplan, Councilwoman Lee Seeman and Supervisor Judi Bosworth; Colonel David Lange; Assemblyman Anthony D’Urso; Parade Commander Louise McCann, commander of Charles A. Fowler American Legion Post 160; Rear Admiral Jack J. Buono, USMS, superintendent, USMMA; and Larry Sheehan, VFW 372. 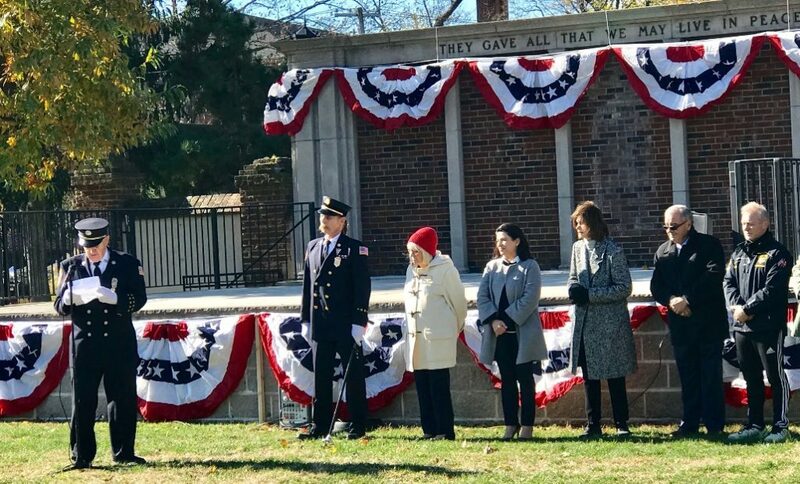 Officers at the ceremony are with (from center): Town of North Hempstead Supervisor Judi Bosworth, Councilwoman and Senator-elect Anna Kaplan, Councilwoman Lee Seeman and Assemblyman Anthony D’Urso.